How do the locals combat the winter cold as well as they do some plans in Granada, their beautiful city? Today’s plans in Granada start with the cold. Well, it’s by no means a mystery – Granada was strategically built in a mountainous area for better defence, but that’s no longer needed. Anyway, to warm ourselves up a bit we’ve only got to climb up to some of our favourite places, like the Alhambra, the Albayzin or the the Monastery of Cartuja; a healthy end to any evening that wouldn’t be typical of Granada if it didn’t end with a good coffee. It can be even better, if you’re in the city centre exploring places like the Paseo del salón, Genil river or Carrera de la Virgen, don’t miss out on a hot chocolate in Plaza Bib-rambla. However, Calle Calderería is even closer if we’ve been exploring the Albayzin. Maybe calle de las teterías sounds more familiar to you. This street is lined with tearooms and offers a wide range of art and music, as well as Arabic scents and sweets to enjoy with a delicious cup of tea. Some other possible plans in Granada include wandering around some of the busiest areas and shopping streets; from the old Alcaicería and Calle Mesones to the end of Calle Reyes Católicos, we can find many different types of shops, but mainly clothing. Keep an eye out when walking through Plaza Trinidad if you’re not a fan of pigeons. In the centre, we can find anything from old cafes with plenty of history, to gastro bars or more modern cafes; where you can try interesting combinations after an afternoon wandering around Granada. We almost forgot! If you’re in the area around the Granada Cathedral, you’ll not only be able to admire this monument but you’ll also be drawn in by the smells of spices, teas and different herbs. We know these stalls well. Of course, if you’re near the Granada Cathedral, we’re just around the corner so you can pop in and see us at our Customer Services Centre-Shop to find out what else you can get up to in Granada! Another key part of Granada that mustn’t be forgotten is the smell of roasted chestnuts that we’ll come across on our route. The smell of winter that has been making our bellies rumble for a long, long time. You’ll be able to spot them easily in the busiest parts of the city as they’re small cart-like stands on wheels. As far as not everyone likes chestnuts, there’s always the option of popping into a bar to warm up and enjoy a good wine with friends. We love to be sociable, especially if we can go out for tapas. 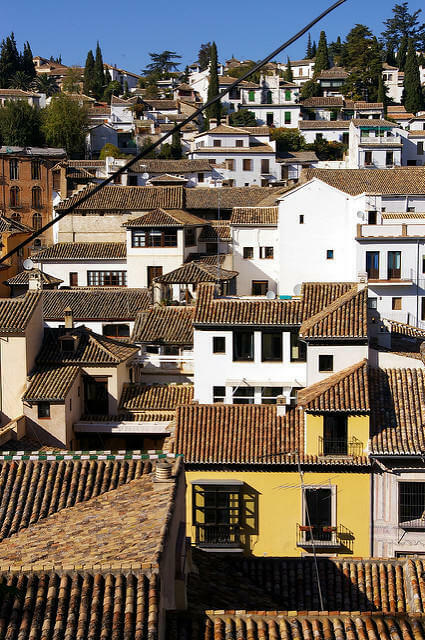 Last but not least, making plans in Granada doesn’t always have to mean going out. This week, we want to tell you a few things about the traditional heater, or brasero. Films and homemade popcorn are on you! This cosy way of warming up goes back to the Hispanic-Muslim period. Braseros were used to heat small spaces where the family could get together to escape the bitter cold weather characteristic of our region. In the Alhambra museum (the article is in Spanish but you can see braseros) we can see some examples of braseros from this period.